Jazzy Group are proud to bring you another sensational Korean pop showcase in Malaysia! 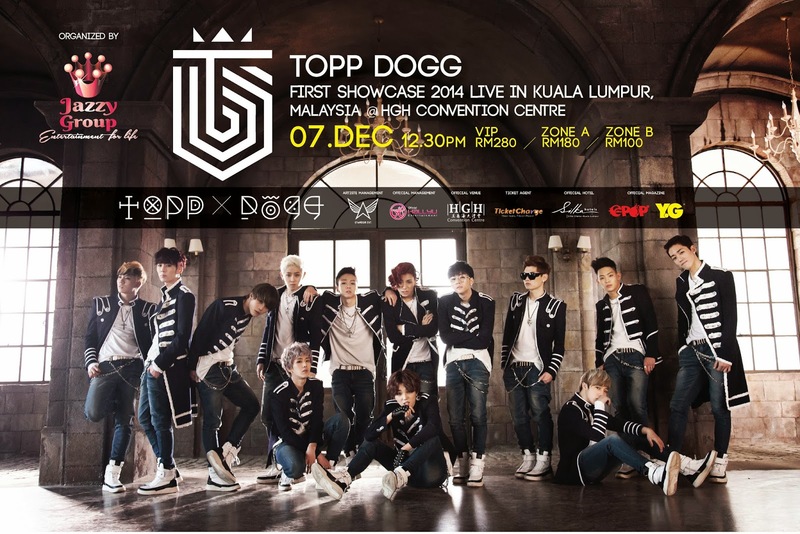 "TOPP DOGG First Showcase 2014 Live in Kuala Lumpur, Malaysia 2014” will be held at HGH Convention Center, Kuala Lumpur on 7th of December 2014! For more information and latest updates about Topp Dogg’s Malaysian showcase, stay tuned to Jazzy Group’s official Facebook, Twitter and Weibo. For more media enquiry, kindly please contact our media coordinator or call Jazzy Group’s helpline at 03-5622 1600.